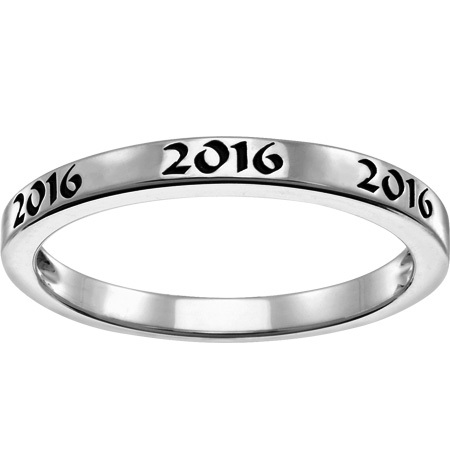 The ladies' 10kt white gold year date stacking ring is 2.2mm wide. Four digit graduation date is engraved three times around the ring. Ring is available in whole and half finger sizes, 4-10. Standard fit. Antique finish. Please note, back year dates require additional charge.